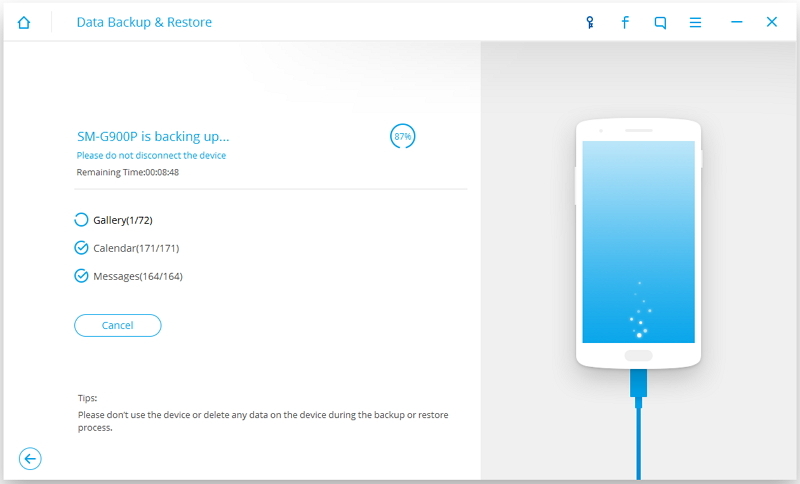 Why use the Dr.Fone - Android Data Backup & Restore? 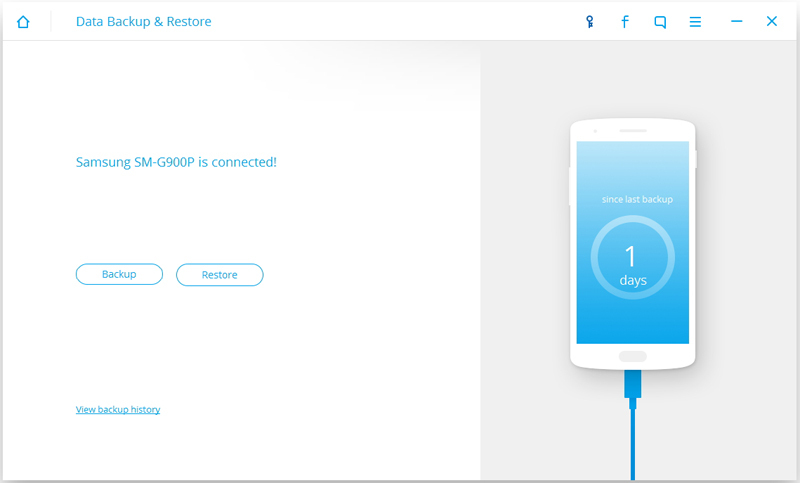 You might have taken a backup for your data, but now you need to restore it to your phone, in the same manner, it was in your previous phone. If you normally copy your data from your PC to your phone, you may not be able to do it properly, especially with some kinds of data such as messages, contacts, and apps. In that case, you need a powerful data backup and restore software that can let manage, import, and export all your data properly without damage or data loss. 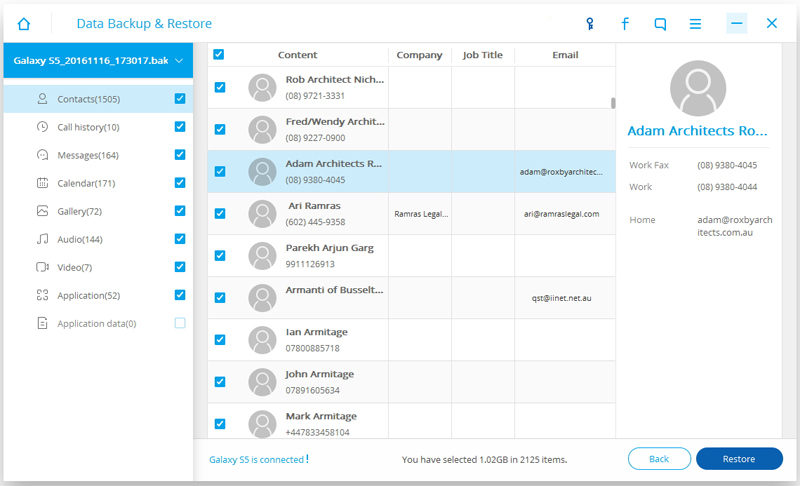 With only one click, you can backup your Android data without overwriting the existing backups of your phone. Preview and selectively backup data you wish to do it. And it is capable of performing various functions. It can restore all kinds of data such as calendar, gallery, call history, video, contacts, audio, messages, and applications as well as application data if you like. You can also view or selectively import and export all kinds of data and restore it to your device whenever you wish. Backup data from Android devices running the Android OS 2.1~ 7.0, including phones and tablets from Google, Samsung, Huawei, HTC, Sony, LG, Motorola, ZTE, Asus, OnePlus etc. 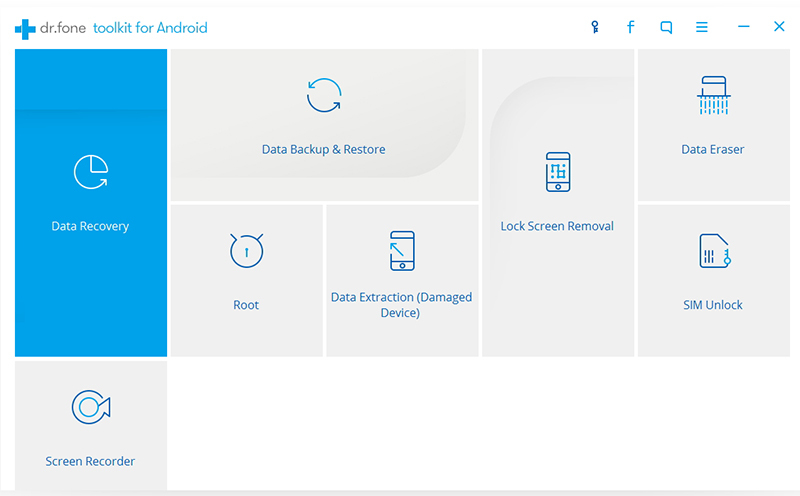 Now with dr.fone toolkit for Android - Data Backup & Restore, backing up your Android data has never been easier. The program makes it easy to back up your Android data to computer and even selectively restore backed up data to your Android device. Now Let’s see how to back up and restore your Android phone. Launch dr.fone toolkit for Android on your computer, select Data Backup & Restore among all the toolkits. Then connect your Android phone to the computer using a USB cable. Please make sure you have enabled USB debugging mode on the phone. If your Android os version is 4.2.2 or above, there will be a pop up window on the Android phone asking you to allow USB Debugging. Please tap on OK. 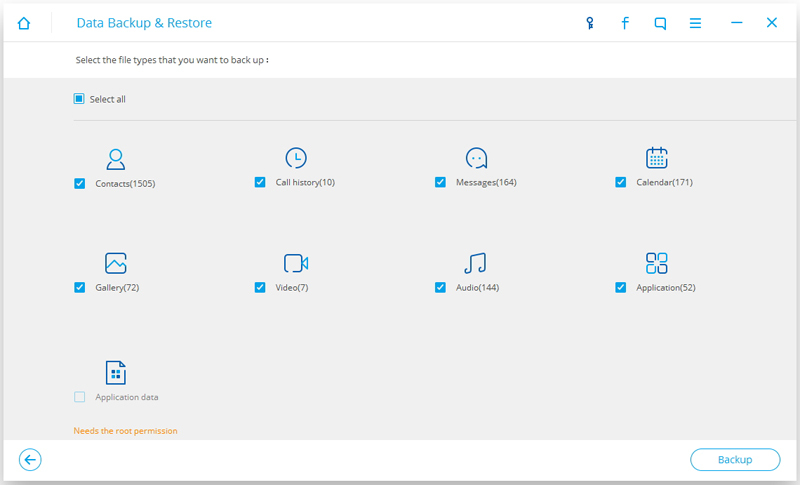 Tips: If you have used this program to back up your device in the past, you can view your past backup by clicking on "View backup history". After the Android phone is connected, select the file types you want to backup. By default, dr.fone toolkit for Android has checked all the file types for you. Then click on Backup to start the backup process. The backup process will take a few minutes. Please don't disconnect your Android phone, don't use the device or delete any data on the phone during the backup process. After the backup is completed, you can click on View the backup button to see what's in the backup file. Launch dr.fone toolkit for Android on your computer and select Data Backup & Restore among all the toolkits. Connect your Android phone to the computer using a USB cable. After you click on Restore button, the program will display the files from the latest backup by default. You can click on the dropdown icon to select other backup files. Here you can preview each file in the backup. 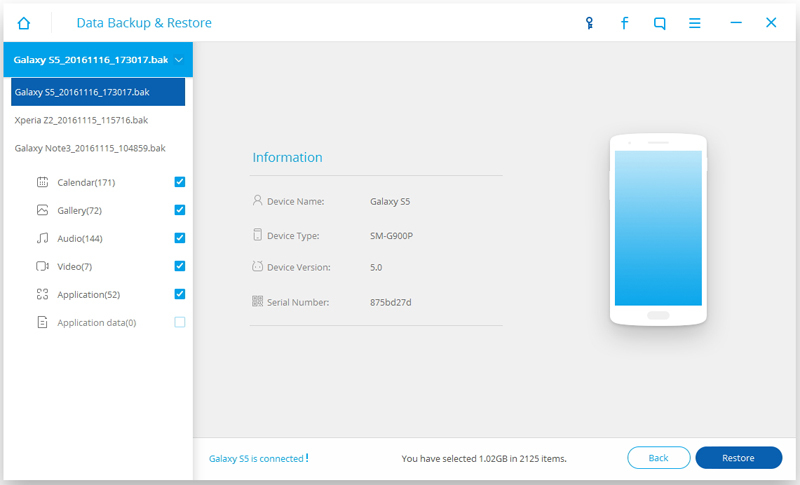 Check the files you need and click on Restore to them to your Android phone. The whole process only takes a few minutes. Please don't disconnect your Android phone or open any Android phone management software.